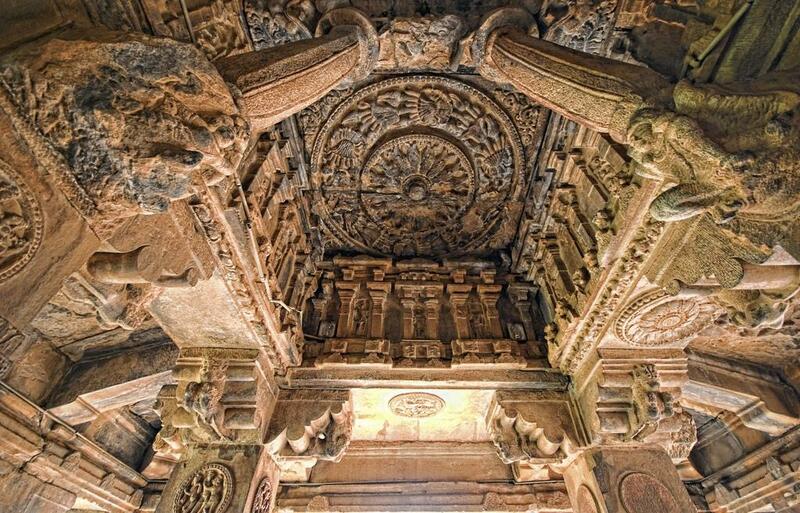 The Cradle of Temple Architecture: Aihole-Badami-Pattadakal - GoUNESCO - Make Heritage Fun! 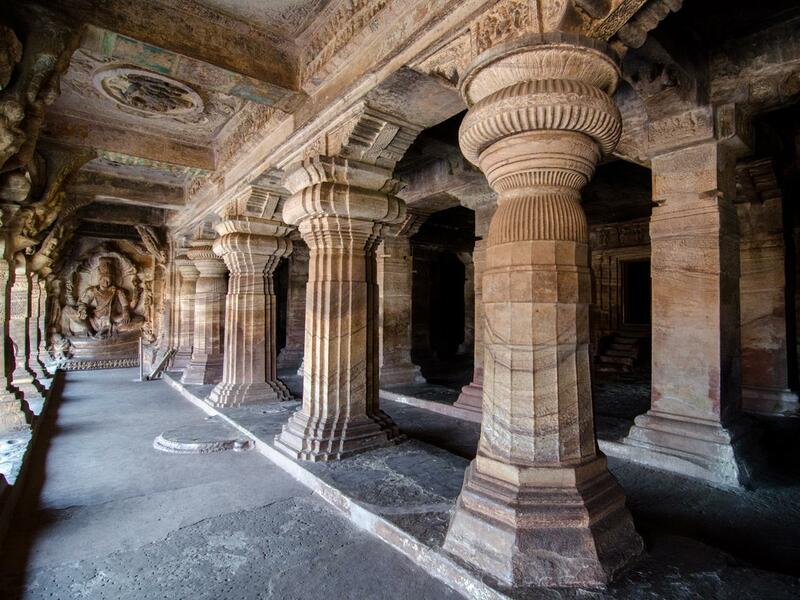 Renowned for art and architecture, the quiet villages of Badami, Aihole and Pattadakal house rich history from our past. These places were once capitals cities of the grand kingdom of the Chalukyas. 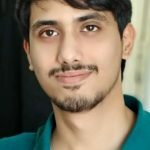 We covered this exclusive place in Karnataka and recorded all the information available to us. Take a glimpse of the life of our ancestors through a photo journey and a 360-degree virtual tour. Famously termed the ‘Cradle of Hindu Rock Architecture’, Aihole is one of the oldest settlements in India. The temples and architecture in Aihole are closely associated with Hindu mythology, exhibiting the involvement of our ancestors in mythical stories and religious practices. The cave temples are carved out of local rock-hills, making the whole town an admirable work of art. 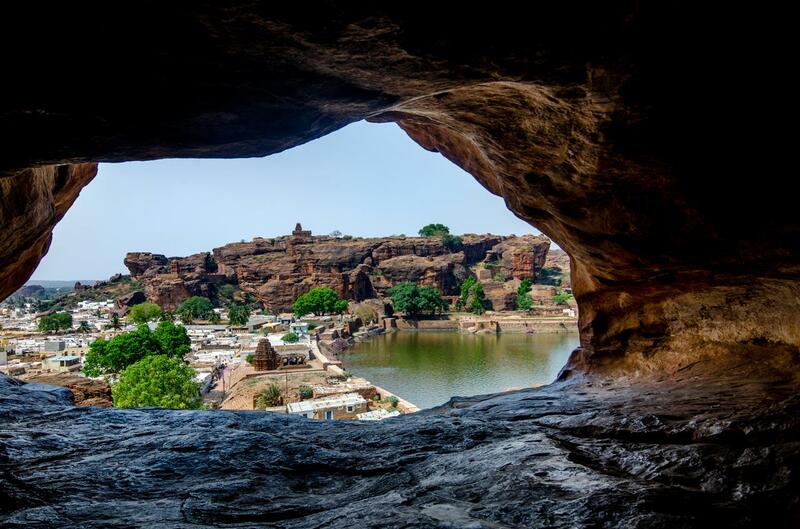 Perched on the slopes of Meguti hill is the only multi-storied cave of Karnataka called the Buddhist cave. The hilltop is flat and houses the Meguti Jain temple. It is famous for housing inscriptions that prove that the legendary epic Mahabharata was a real war and not a fictional event. 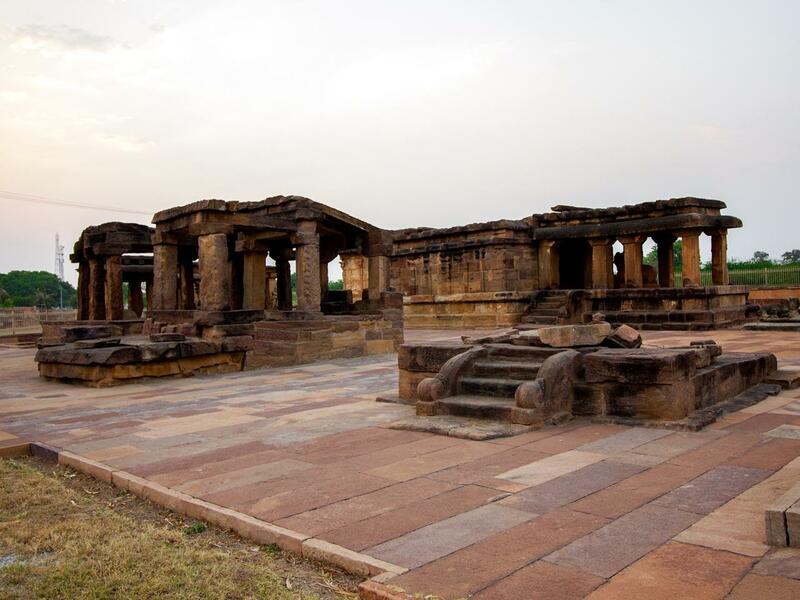 It is the most visited tourist location in Aihole with its famous Durga temple. Although named Durga, the temple is not dedicated to Hindu Goddess Durga, but gets its name from the nearby Durg fort. 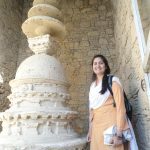 The complex is renowned for housing the first freestanding stone temples in Indian history and is a pending World UNESCO Heritage Site. 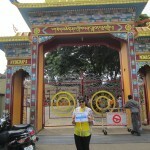 It is an exclusive complex of the Shiva temples. The most prominent features of this complex are its stepped water tank and the tower shaped Trident nearby. The Trishul is exquisitely lit up with lamps at night. It is also a cluster of Shiva temples inside a square and depressed land. The festival of Dussehra is celebrated grandly with a unique ritual of worshipping the holy Trishul in the temple. One of the earliest cave temples of Chalukyan era, Ravana Phadi is dedicated to Lord Shiva. 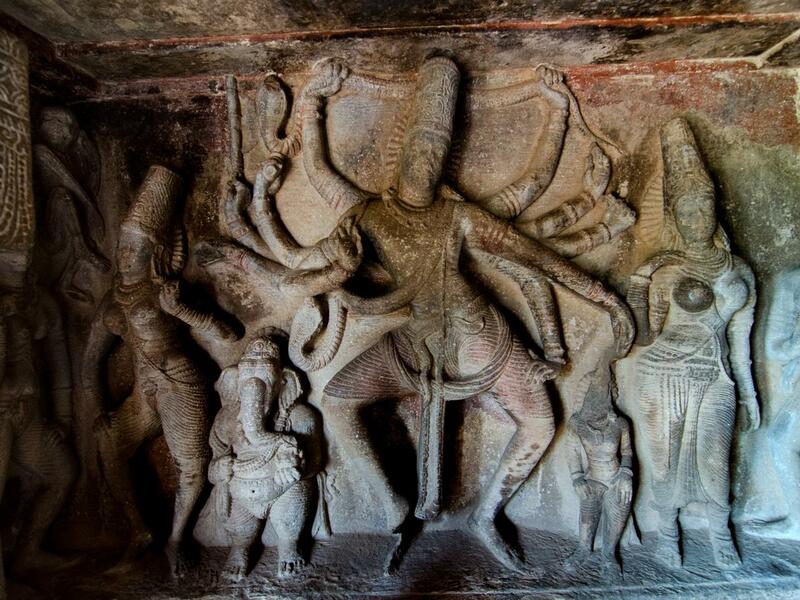 The caves have been excavated out of the low height mountainous rocks with stunning carvings on the rock walls. The usual theme of carvings being Shiva, Vishnu, Ganga and Mahishasur Mardini. 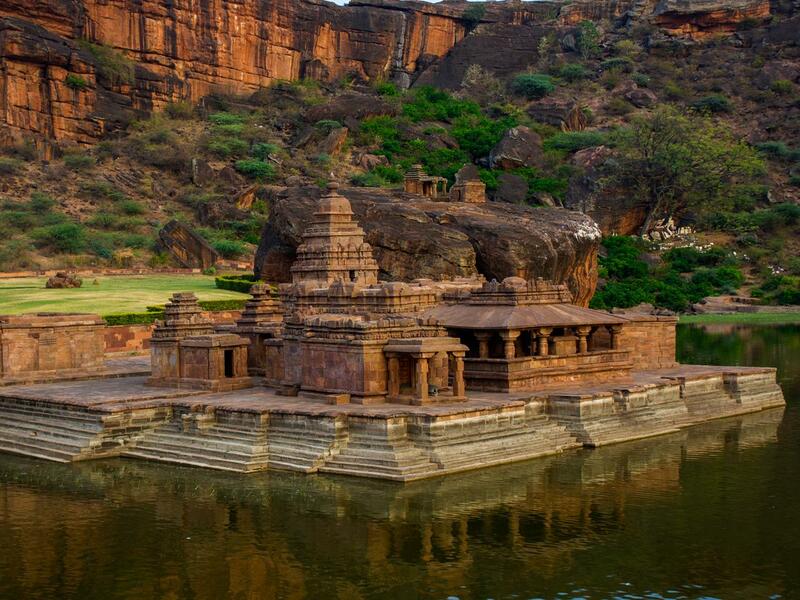 Nestled on the banks of beautiful Agastya lake, the temples of Badami will leave you spellbound. It was the most revered capital city during the Chalukyan rule thus, the most fine work of art from the 6th Century in Karnataka. 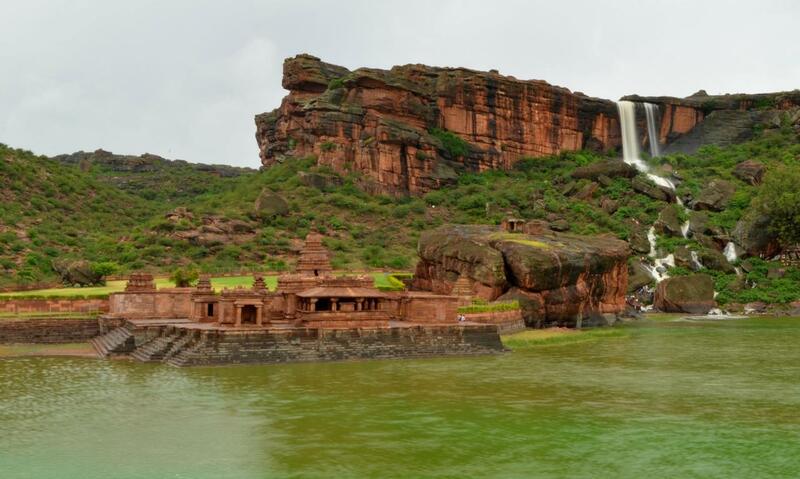 Badami is a perfect example of devotion meeting art, giving birth to exotic Indian rock architecture. It is a group of four temples carved out of the almond coloured mountains of Karnataka. 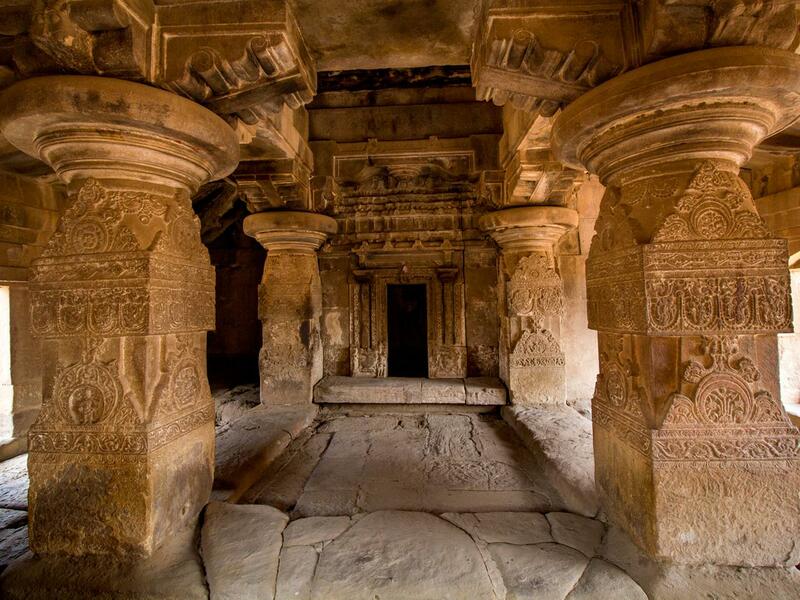 One of the four caves is dedicated to Jainism, believed to mark the beginning of Jain temple architecture in India. The foreground of the lake and stone steps further enhance its pristine and dreamlike landscape. Famous as the Dakshin Kashi, it is an ancient pilgrimage place for followers of Shiva and Shakti. 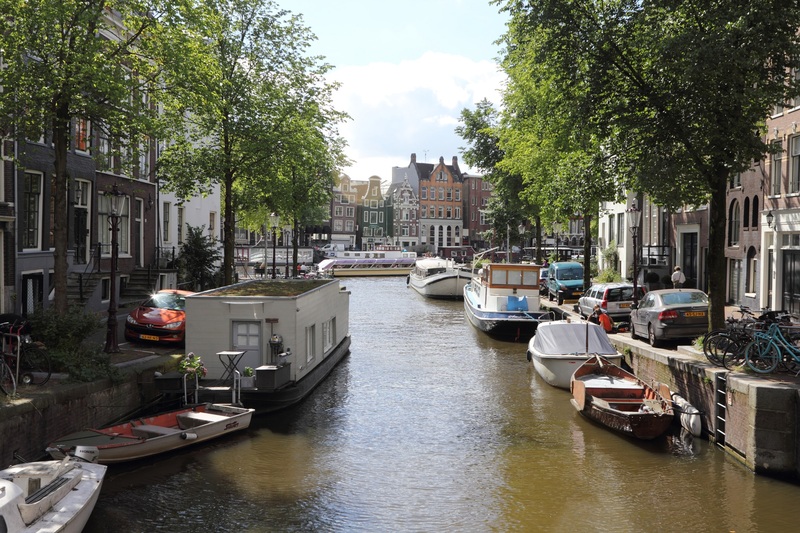 All year devotees take a dip in the holy waters which is believed to wash away one’s sins. Dedicated to the Bhutanath form of Lord Shiva, these group of sandstone temples are located near the cave temples. 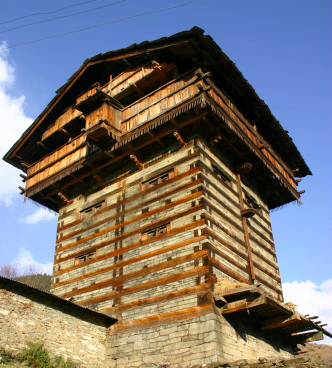 It was built by two generations and thus has two different styles of architecture. Shivalaya means the abode of Shiva. These three Shiva temples are located on a hill with the Upper Shivalaya at the top and the Lower Shivalaya at the bottom. While Upper and Lower Shivalayas have been destroyed in the Pallava invasions, the Malegitti Shivalaya is well preserved with its ancient carvings. 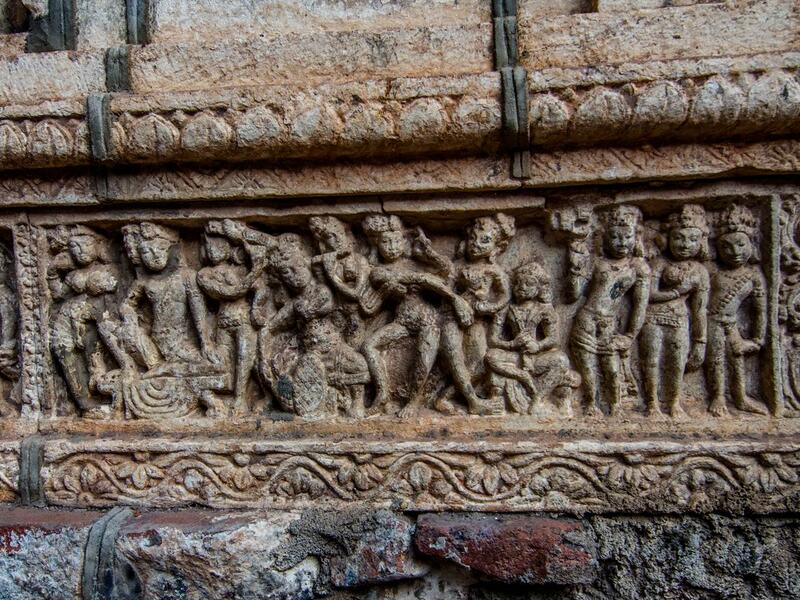 Pattadakal was the prestigious capital where a king would be crowned. 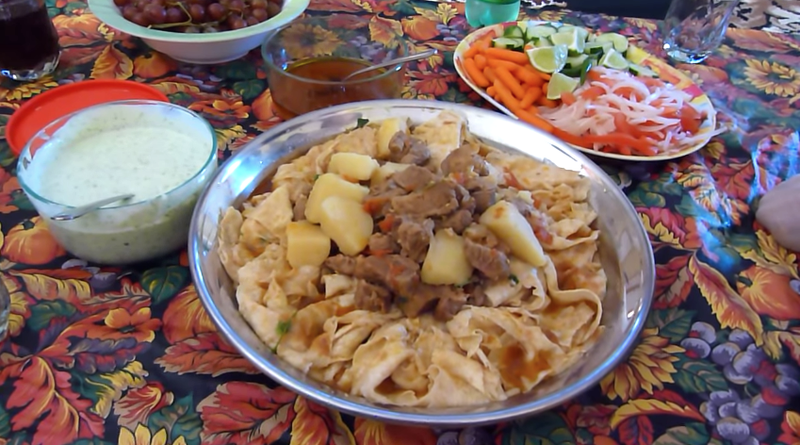 It is thus home to the finest Chalukyan architecture, monuments and carvings. 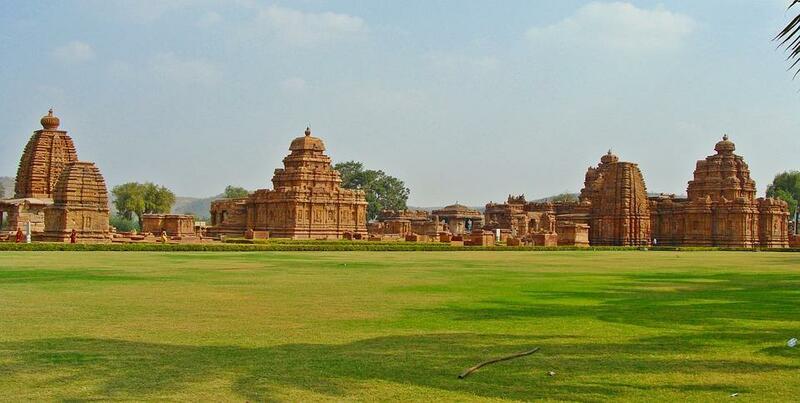 The ochre colour of the stones of the region may unite the landscape of all the three capitals but Pattadakal stands out for its sheer sophistication.